Meikleour Arms looks forward to welcoming you, whether it is to stay, to eat or just to boast how big that fish really was! Meikleour Hotel has re-joined Meikleour Estate and been christened Meikleour Arms Hotel & Restaurant. With both Islamouth and Meikleour House Beats forming part of the Estate, we have been looking after fishing parties for many years. 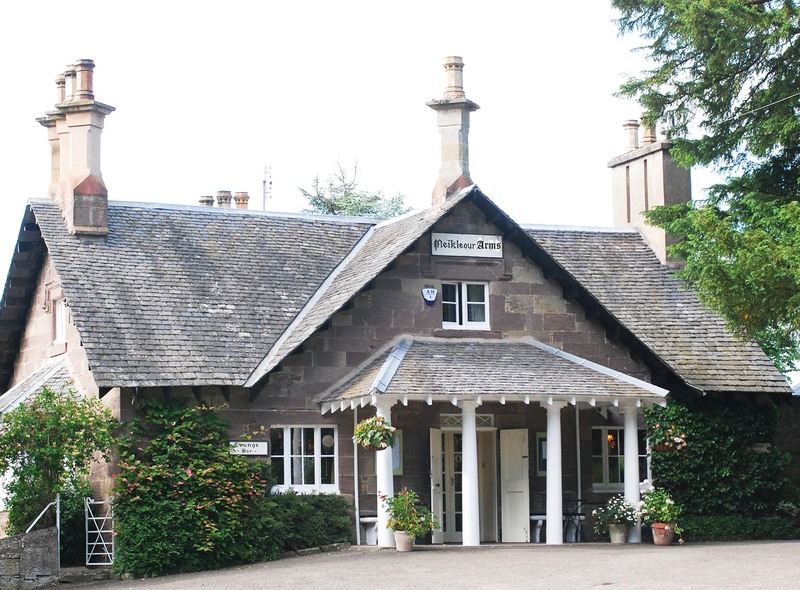 Being positioned between the lower and middle Tay beats, Meikleour Arms is an ideal base for fishing parties coming to most of the prime fisheries. Islamouth and Meikleour House are on our doorstep while Cargill, Ballathie, Taymount, Stobhall, Kerkock, Murthly, Stenton, Glendelvine and Coupar Grange are all under 10 minutes away. To keep you going after a long, hard morning’s work on the river, we can either supply packed lunches, or, if you are needing something more substantial, deliver a hot pie directly to your fishing hut. Dogs are welcome in most of the hotel and there is a kennel should the boot of your car be too mean but your bedroom too kind. There is also a drying room for waders, jackets and all the other essential bits of kit that seem to be necessary. Set in the peaceful conservation village of Meikleour, within our traditional stone building are five modern and comfortable double / twin bedrooms. From our recently renovated bathrooms you can relive that heart stopping moment when the reel twitches and the line then screams. Our pine panelled dining room has an open fire and is ideal for groups while in the informal bar you can compare stories with other anglers about the one that got away! We also take great pride in our garden, which, on those happy occasions when the weather permits, provides a heavenly setting to enjoy the brews from the bar or toils of the kitchen. Our chefs go the great lengths to source local, quality ingredients, with vegetables from the Estate, meat from award winning butchers, fish direct from the boats, berries from the fruit farms nearby, free range eggs and ice cream from the dairy down the road. We make our own jams, breads, batter and scones and have gathered quite a following for our black pudding Scotch eggs and burgers with all the trimmings. Along with the core favourites, we have daily specials tailored to the season. The bar, meanwhile, has its very own ale, The Lure of Meikleour, made for us downstream in Perth. Our pilsner is Scottish brewed to German regulations and we often have guest kegs joining the other beers. There are whiskies from all corners of the country and an affordable wine selection. Should you wish to bring your own wine, we will happily serve it for you and only charge modest corkage. Rooms are £90 and include breakfast.